Place a sauté pan on a medium heat and add the olive oil and sauté the onion slices until golden brown and crispy. Put onto kitchen paper and allow to cool. 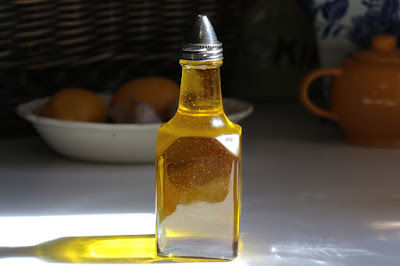 To make the dressing, place all the ingredients into a bowl and whisk well, season to taste and set aside. 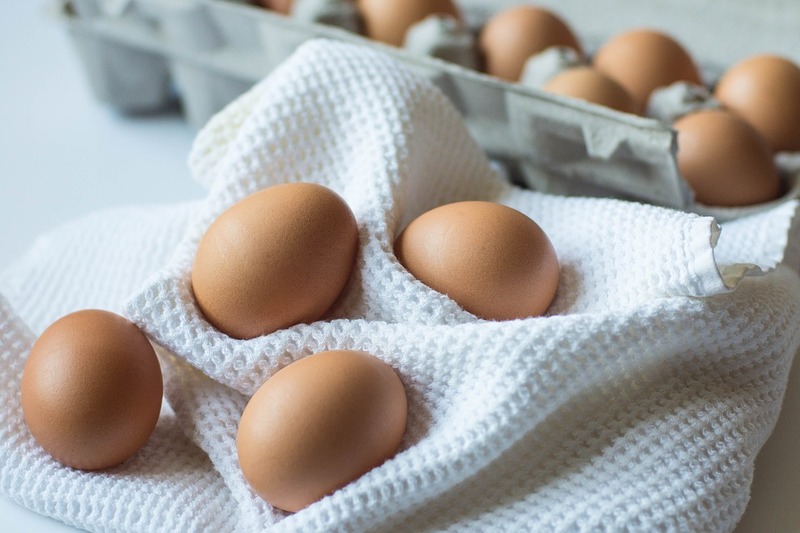 Bring a pan of salted boiling water to the boil, break the egg into a cup, whisk the water to a whirlpool and lower the egg into the middle and poach for 3 to 4 minutes or until cooked. Repeat this process for all the eggs. Separate the leaves of the little gem lettuce, put into a bowl with the watercress and drizzle with half the dressing. Add the John West No Drain Tuna steaks and toss lightly together. Place the warm asparagus on the plate. 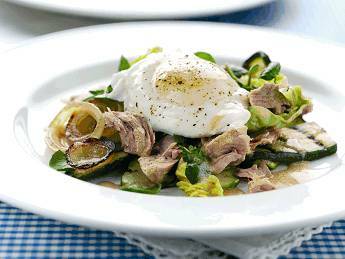 Put the mixed tuna salad on top then add the poached egg. Pile the onion rings on the plate and drizzle with the remaining dressing and serve. 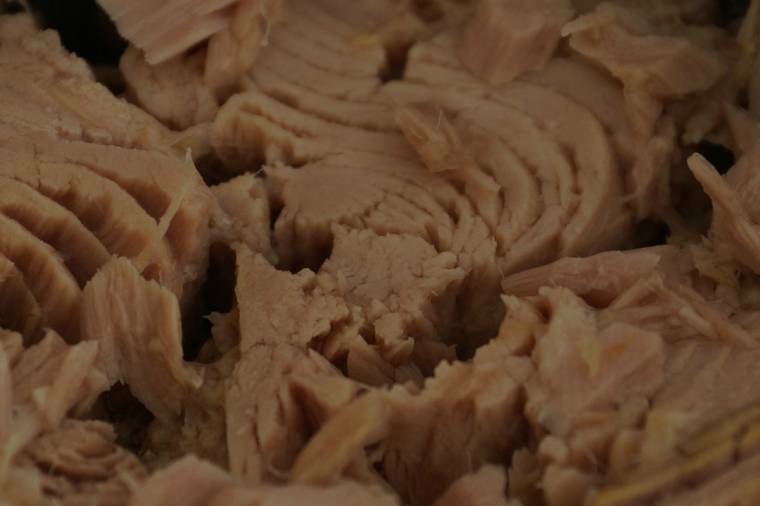 John West have just launched a fantastic campaign whereby consumers can now see where their canned fish has come from. All they need to do is enter a code which is on each individual tin of tuna into the John West website and the information on which sea their fish was caught in and which boat it was caught on will be revealed. "Tuna, Rosemary and Aubergine bake…."